I have been through alot of rough stuff in my short 26 years of life. Many of my friends have also dealt with their own fair share of really rough life experiences. Parent's divorce, abuse, alcoholism and drug addiction in families, death of loved ones, horrific break ups, you name it. I'm sure you could rattle off a list of your own experiences. Lately, after examining my own heart and talking to some friends about their own set of circumstances, I have realized just how much pressure we put on ourselves to appear to have it all together when everything is falling apart. I once told someone that the hardest thing to deal with at times is a deep disappoint in myself that I am not yet "over" certain situations that have really hurt and scarred me. Another friend I know expressed to me that in the midst of everything she is going through, and believe me it is alot, that she fears that people will view her as being "a hot mess." Why do we put so much added pressure on ourselves? I would like to go on record as saying it's okay to be a hot mess...just be honest about it. Really. Life is hard. Bad things happen. Awful things happen. We make mistakes. We become broken. We are human. But we need to start being honest about it. We need to start being transparent, so that we can begin our process of healing and restoration. The church is lacking in transparency. We keep our struggles hidden under the rug where no one can see. Then, when other people walk through our doors with brokenness in their lives, they feel like no one else could understand based on the false appearance that everyone has their acts together. Not too long ago, I was a part of a very powerful leadership training conference. During one breakout session, we were forced to talk to one another about areas of brokenness in our lives and ministry. There were many tears followed by powerful words of encouragement. That day we achieved a sense of family and I understood on a deeper level what it means to be a part of the body of Christ. I believe that God uses words like "body" and "family" to describe the church, because we were meant to rely on one another. We weren't meant to do it alone and we don't have to. Romans 12:4-5 paints a powerful picture of this concept: "For just as each of us has one body with many members, and these members do not all have the same function, so in Christ we, though many, form one body, and each member belongs to all the others." We belong to one another. We owe it to each other to be honest and to be transparent. 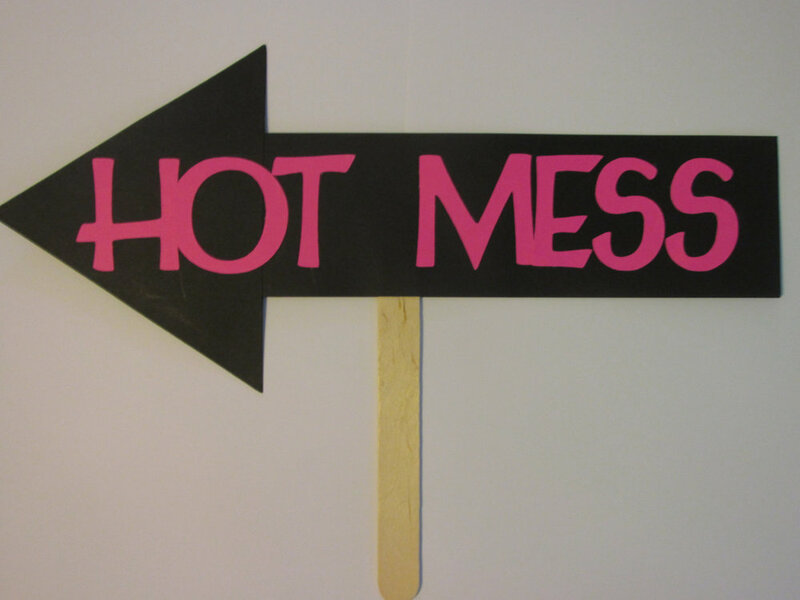 If you're a hot mess, be a hot mess, just be honest about it so the family can support you through what you're going through and help you back up onto your feet.